"Failure is not an option!" is the famous line uttered by Gene Kranz, Tiger Team leader of Flight Directors assembled to recover a crippled spacecraft over 200,000 miles from earth. A small manufacturing fault in an oxygen tank heater would cause an event that had the world holding its breath. 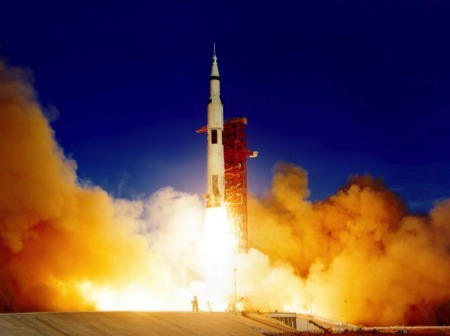 The achievement of human ingenuity and spirit overcoming adversity is spectacularly told in the story of this mission - which blasted off from Cape Kennedy at 1313 hours on April 11th 1970. If you are looking for an after dinner speaker who is out of this world, look no further than Phil Holt and take your guests on a mission which is sure to see them return again. Contact Phil Holt, professional after dinner speaker, for more information about Apollo 13, a successful failure.